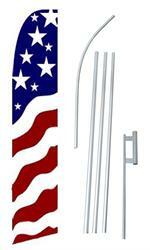 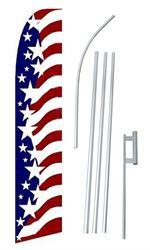 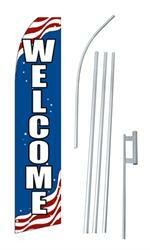 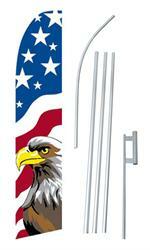 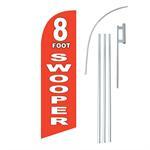 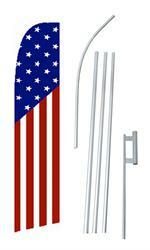 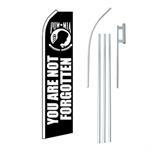 Custom 12' Windless Swooper Kit, includes the custom print flag, ground spike mount and pole for display! 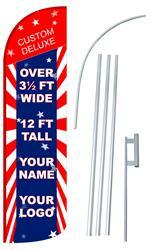 Save money and buy a kit! 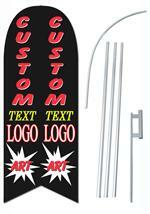 Custom 12' Double Sided Windless Swooper Kit is fully customized with your provided graphics. 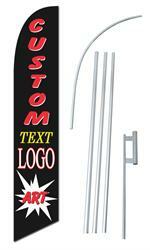 The custom blade banner's sheer size alone can be seen from afar and is more effective at reaching customers than other traditional signs. 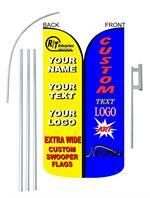 Custom 12'tall by over 3' wide double sided windless swooper kit is fully customized with your provided graphics. 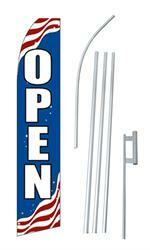 The custom blade banner's sheer size alone can be seen from afar and is more effective at reaching customers than other traditional signs. 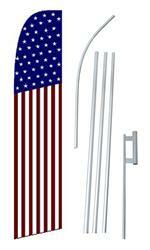 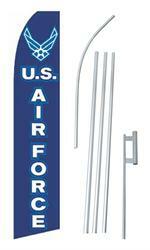 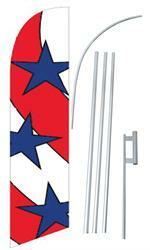 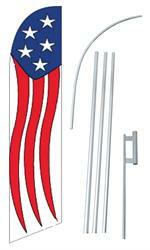 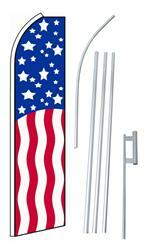 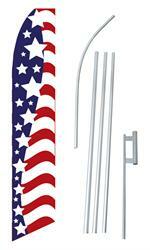 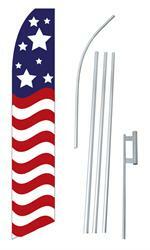 Custom 8' Windless Swooper Kit, includes the custom print flag, ground spike mount and pole for display! 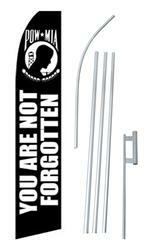 Save money and buy a kit!